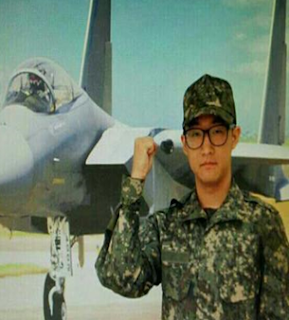 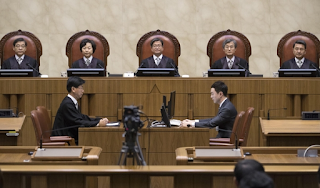 S.Korean Supreme Court ruled moral scruples and religious beliefs are valid reasons to refuse compulsory military service in a verdict on a Johovah's Witness defendant charged for refusing to join the military. S.Korean law required all able bodied men between 18 and 35 to serve two years in the military, or face maximum 3 years in prison. 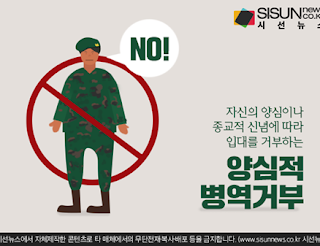 More than 19,000 conscientious objectors have been criminally punished since 1950, and majority of them were Johovah's Witness who cite Isaiah 1:4 that says, "Nation will not take up sword against nation, nor will they train for war anymore." 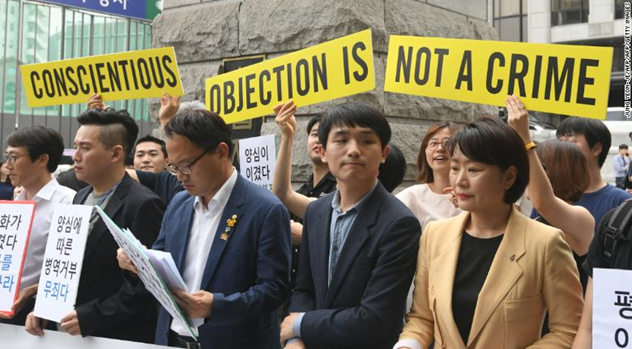 Conservatives criticized the verdict, saying it will bring sense of loss to Korean men who fought in the military to defend the nation from Kim dynasty in the north. 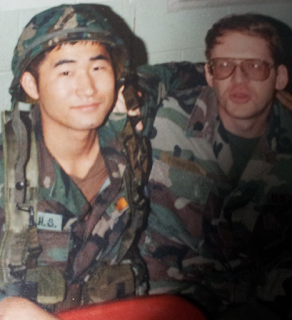 Korean men join military only because it is their sacred duty, evidenced by 3,000 Korean Won ($5) a month pay, no typo, when I joined the army in 1982. 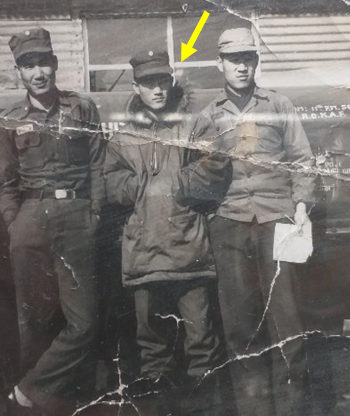 My father served in the Air Force in the 50's. My brother was stationed near DMZ for 30 months. 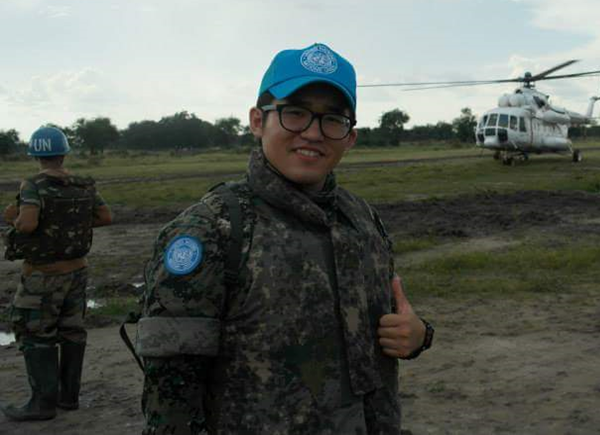 Though they don't have to because of their Canadian citizenship, my first son volunteered the army to be sent to South Sudan to fight off insurgents and so did my 2nd son to serve in the Air Force. 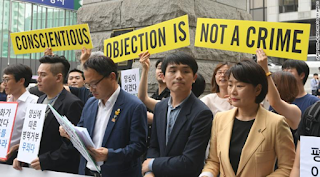 The term "conscientious objectors" better change to different words my proud family suddenly turned into "unconscientious" SOBs with the Supreme Court decision on Nov 1.